Even after more than ten years, I continue to be inspired and amused by Switzerland. The new Wine Trail conveniently starts at the train station in Weinfelden where I collect a special backpack. For only 19 francs, I receive a wine glass for the tastings, a corkscrew, some water and snacks for the hike. And finally, a guide listing all the vineyards along the hiking trail. Before leaving Weinfelden, take some time to admire the beauty of this small Swiss town. Then, start your hike in the direction of Ottoberg-Boltshausen where all the vineyards are located. I start my hike shortly after 11 AM. I would recommend this time if you also consider enjoying the wine along the way. It takes about 30 minutes to reach the first wine box - if you know the way! You could enhance your hike is by timing it with the open cellars in May or early September. 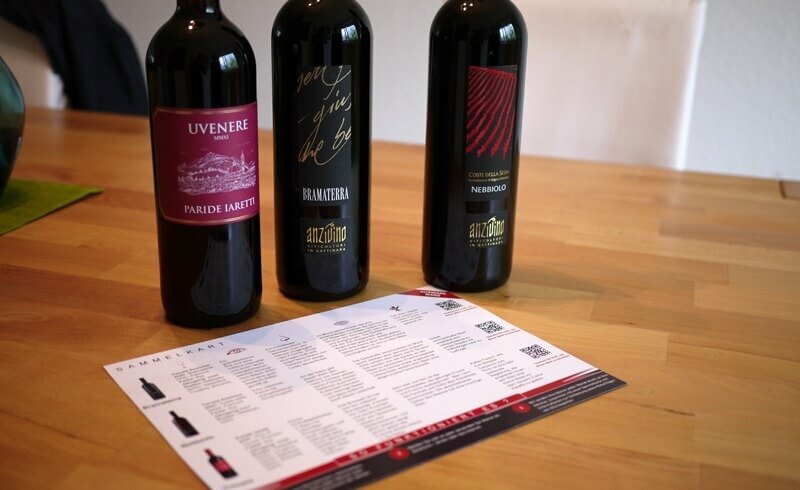 During these periods, various winemakers offer their vintage for tastings during weekends. This is a great opportunity if you like to combine wine tastings, hiking in nature, and good food. Along the way, I found it inspiring to have a chat with some of the winemakers and to learn about the vineyard culture in Thurgau. Take Mr. Willi Burkhart who owns Weingut Burkhart. This wine grower took the time to give me an overview of the different wines they produce, the different sorts of grapes they have and how they combine two grapes into one. Wine lovers, listen up: Mr. Burkhart mentioned that starting in September, he will be happy about any extra hands to collect the grapes. So, if you want to experience the full vineyard experience, this could be your chance. 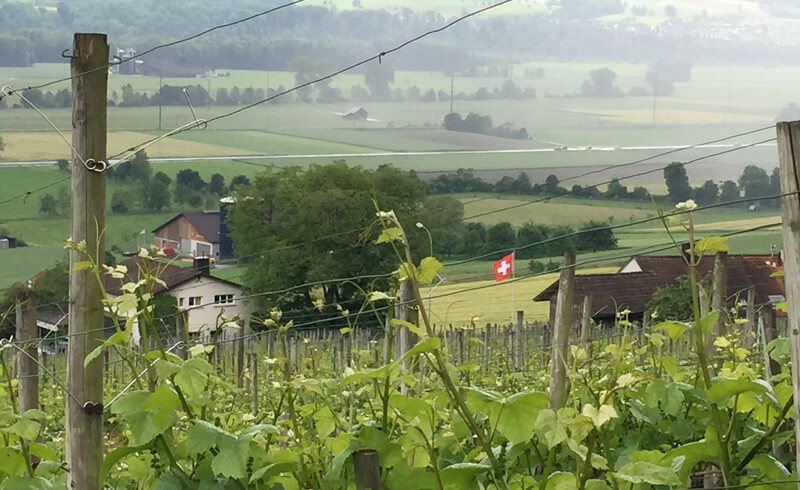 Simply drop Mr. Burkhart or any other Thurgau winemakers an email and express your interest. If you have already completed the Wine Trail, there is great news. 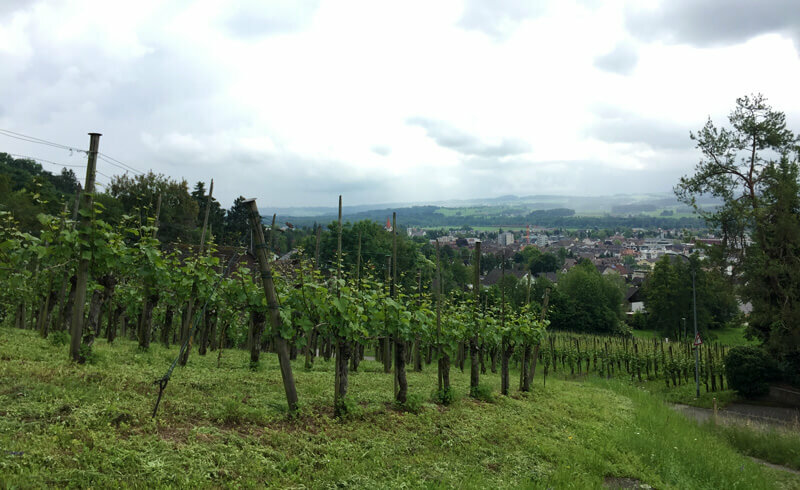 Mr. Burkhart mentioned that the Wine Trail in Weinfelden is a project that will expand within the next couple of years to include additional winemakers. 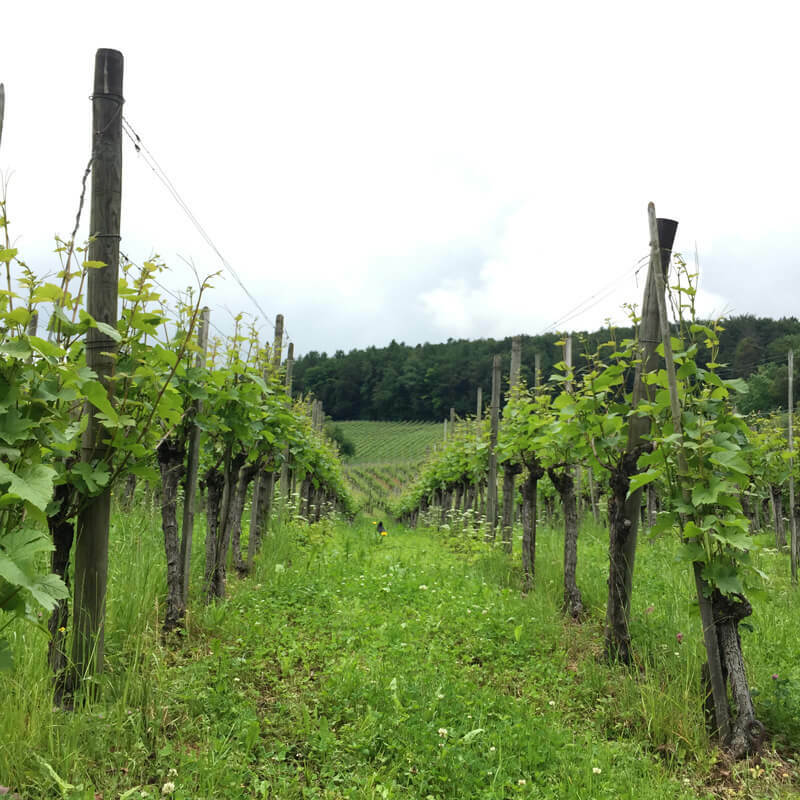 This beautiful hike should be one of the "must do" things for nature and wine lovers who want to experience Thurgau, a canton not far from Zürich. It takes approximately three hours to complete the 9 km round-trip. You can optionally make it a day’s trip by taking more time to picnic, stop along the way for picture taking or for admiring the remarkable panoramic views of Thurgau. And maybe in two years, this will become a full-day hike by default. Cheers, and I hope that you will enjoy the Wine Trail in Weinfelden as much as I did.